I am so excited to bring you a few amazing little holiday decorating projects today, just in case you have deemed this weekend as the one to decorate your digs or you need a bit more festive flair to really get yourself in the spirit! And what's even better is that most of these DIY gems involve little more than spare materials & odds and ends you may have lying around the house already! Take a look . . . Step 1. Stand 5 feet away from your friend with yarn ball in hand, and hold on tight to the end strand of the yarn. 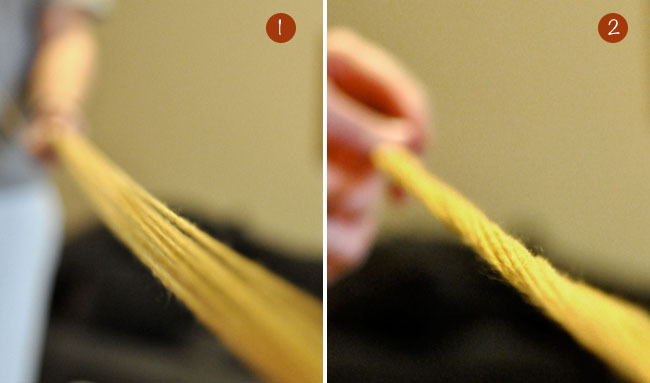 Toss the yarn to your friend and pull both your ends so the length between you is taut. Have your friend hold on to their end and throw the ball back to you. Repeat these steps until you have10-20 tight strands between the two of you. Cut the end of your yarn to cut it away from the yarn ball. Step 2. Still holding the string tight between the two of you, both of you should begin twisting the string in opposite directions until it is twisted tight. Be sure to not let go of your ends. Walk towards one another, so that the two ends of yarn meet in the middle. 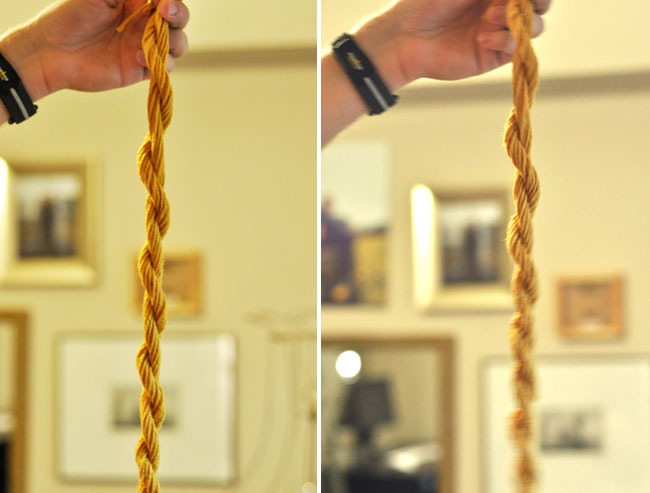 They naturally will twist in the middle to create a neat braided look. 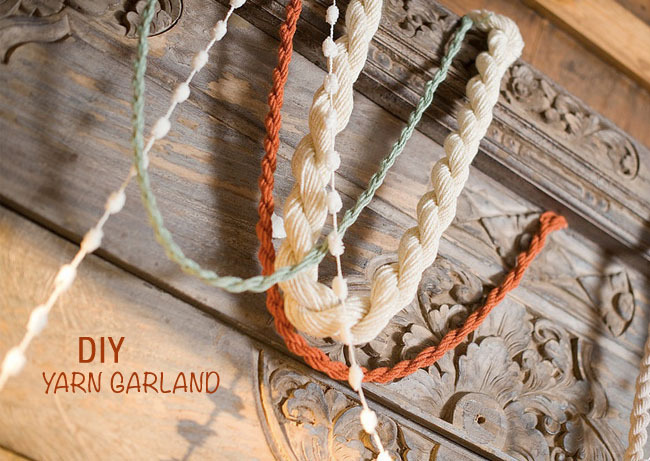 Take a small piece of yarn and tie a tight knot around the combined ends so the twisting doesn’t come undone. 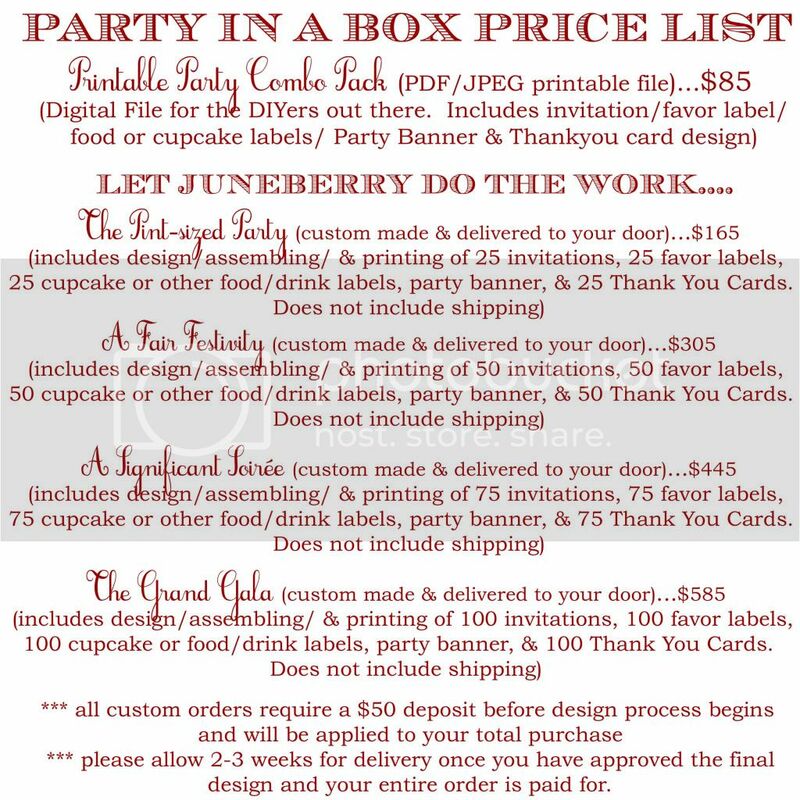 Make more of these in varying colors, widths and lengths and drape them on tables, behind chairs, around your Christmas tree and across your fireplace mantle. 1. 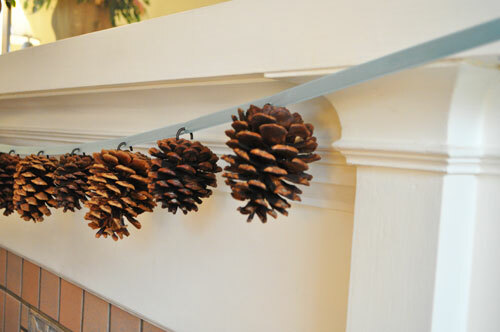 Begin by measuring your mantel or space that you’d like to hang your garland and cut your ribbon. Remember to leave extra for hanging. 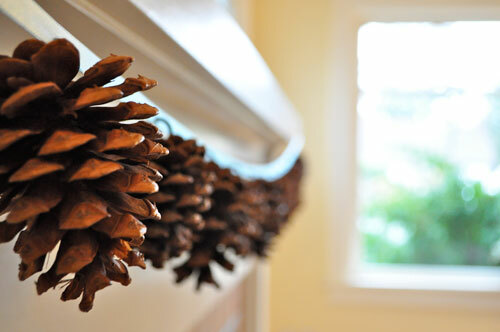 Once you’ve determined the length, space your pine cones out as you like on a flat surface. 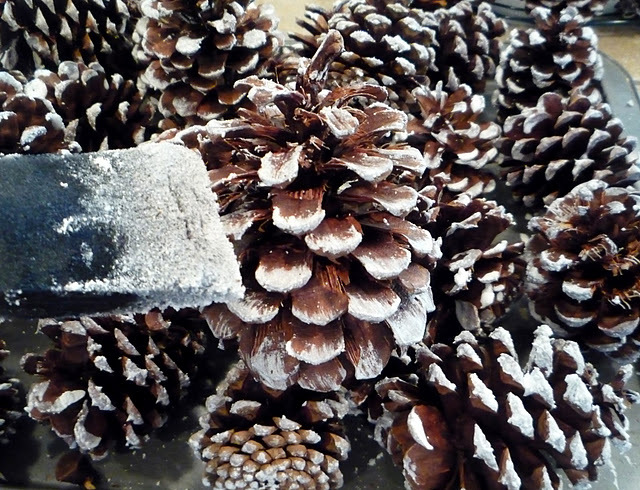 The pine cones I used were fairly large so I kept about 4 inches between each one. 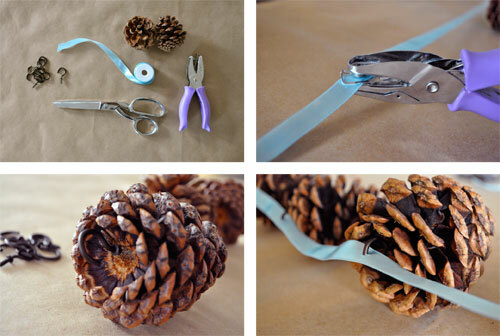 On the back of the ribbon discreetly mark where each pine cone will go, then punch a hole with a small craft punch. I used an 1/8″ round circle punch like this one. 2. 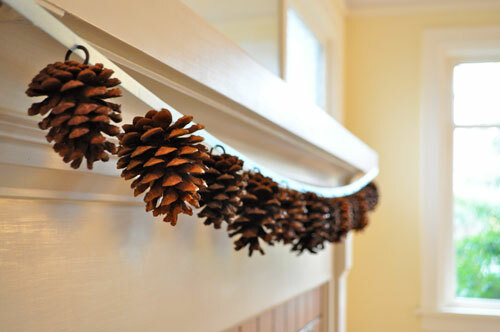 Once you know how many pine cones you’ll need, screw in one screw hook into the top of each pine cone. This takes a little practice and you may need a little elbow grease but once you get the hang of it it goes pretty quickly. 3. 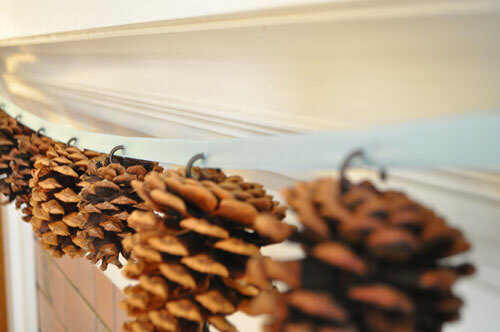 Poke each hook through the hole you’ve made in the ribbon and hang! Easy as pie and something that will last for seasons to come! 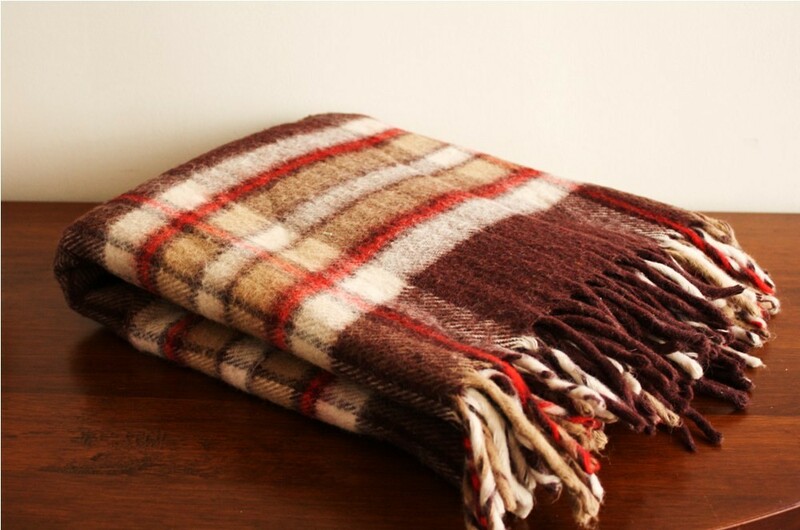 Then you could throw in some mod-70's style plaid . . .
And you have a very, vintage retro thing happening. 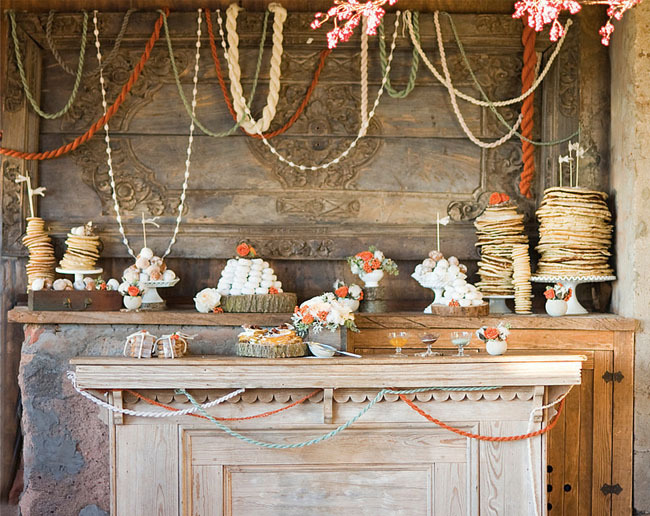 And another rustic beauty . . . 3.) Insert the evergreen into the drilled holes of the branch and there you have it . 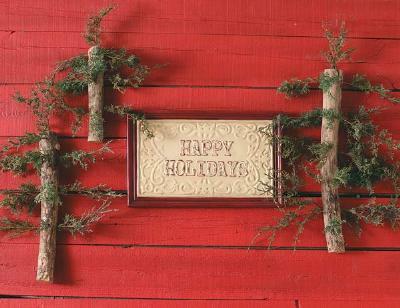 . . a rustic 'Christmas Tree'. 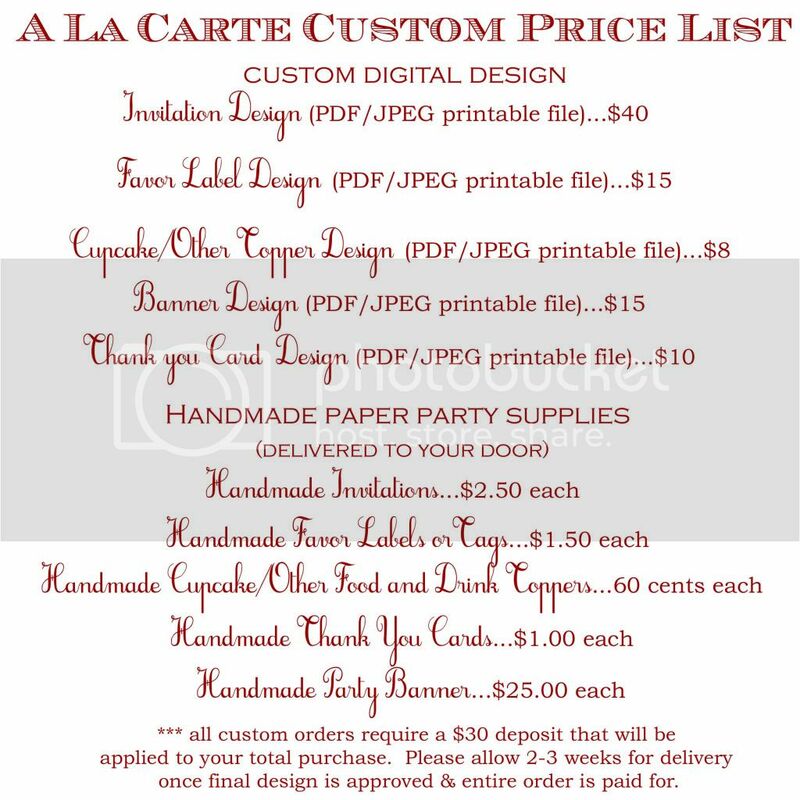 Go ahead and add a few small ornaments if you like!! And there you have it . . . that ought to keep you busy this weekend. Have a wonderful one! !